Mattel has launched the ultimate Barbie glamping experience in honor of the iconic doll’s 60th birthday. From March to December 2019, fans in Mexico can check in to an exclusive suite at the Hilton Mexico City Santa Fe that’s been transformed into a life-sized Barbie haven. 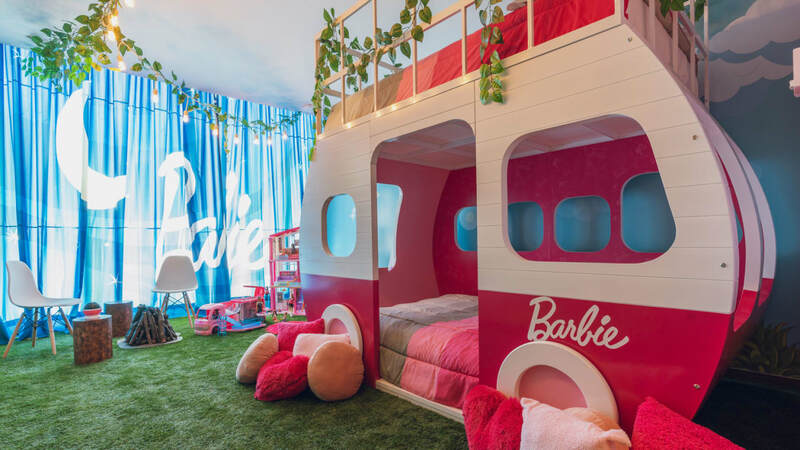 The themed room, which took 20 weeks to create, is kitted out with a pink pool cabana as well as a life-sized DreamCamper and a collection of rare Barbies from the past six decades.